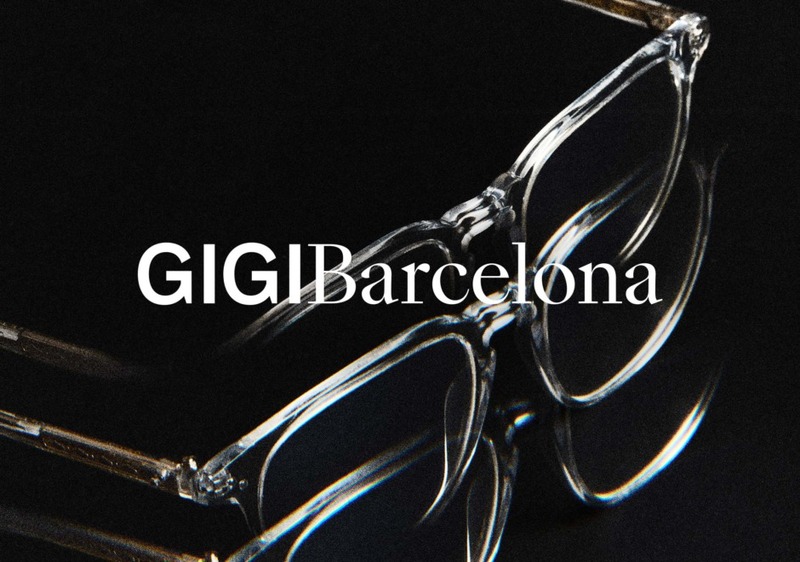 Gigi Barcelona is a creator of high-end glasses. The new identity we have created establishes the brand’s own voice in the world of fashion, sharpening its market position. 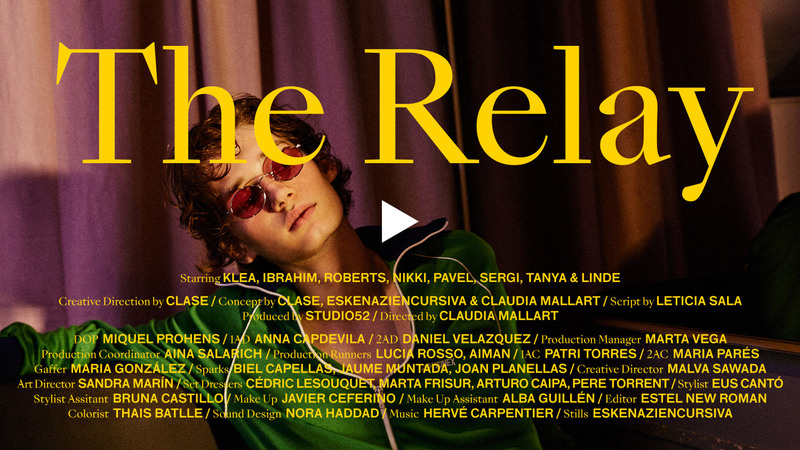 The creation of a visual universe, unfolded through a new web platform, is the result of our integrated creative direction and collaboration with three different teams of photographers. 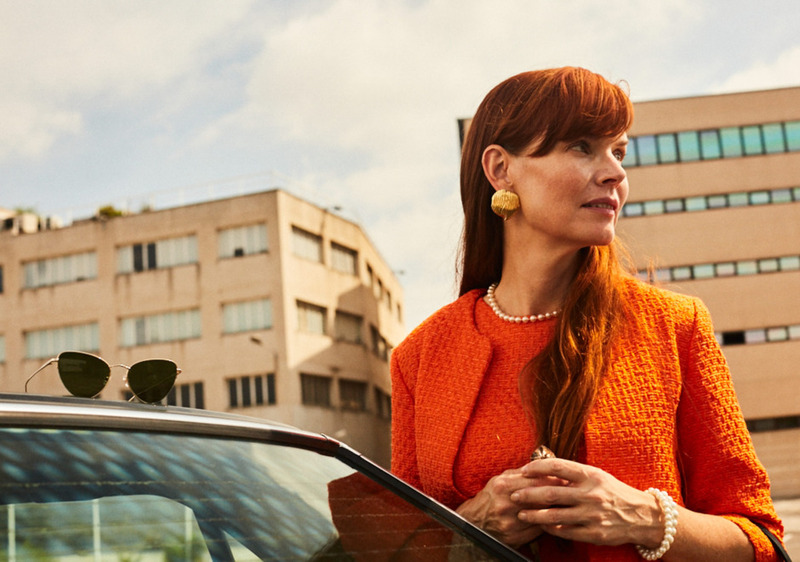 Inspired by lucid dreams, Gigi Barcelona Autumn / Winter 2018 campaign is placed at a midpoint between reality and fiction, between the world of dreams and the appearance of reality. Therefore, it invites spectators to explore this intermediate and vague universe. 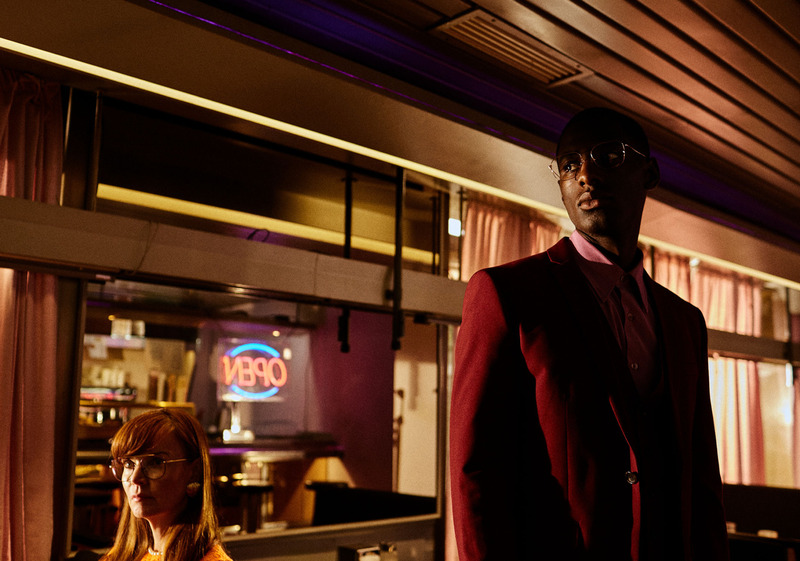 The film, directed in collaboration with Claudia Mallart, frames the product in a urban yet dreamy atmosphere. The pictures shot by Eskenaziencursiva complement a story written by Leticia Sala. We worked with German photographers Schmott to create a chromatic and lighting code that would explain the design and materials used in each of our three collections. 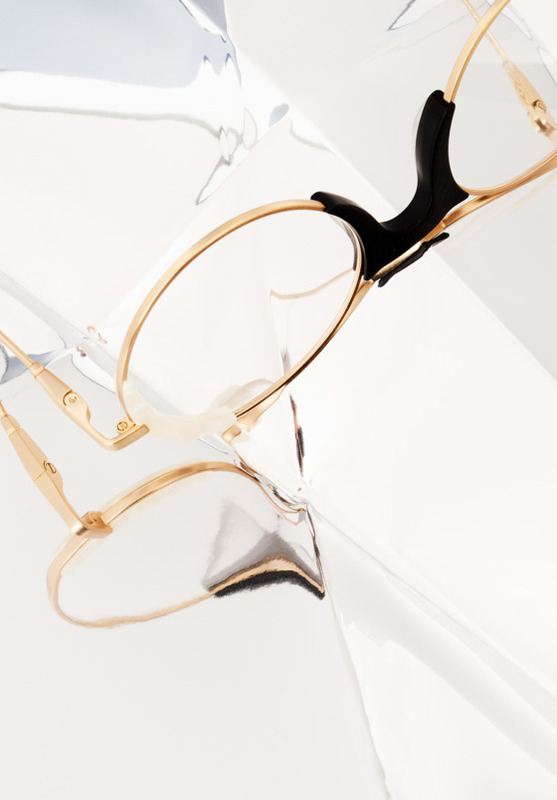 Still lifes and detail shots combine with abstract and experimental imagery, strengthening the brand’s relationship with the creative world. Indefinite exteriors, dense colour grounds and very specific ideas in casting work together to distinguish the visual repertoire of David Gómez’s photography. We intervene visually over the images in each campaign: in the first, sharp, artificial shadow lines work together with the application of grain and colour tinting on black and white images. 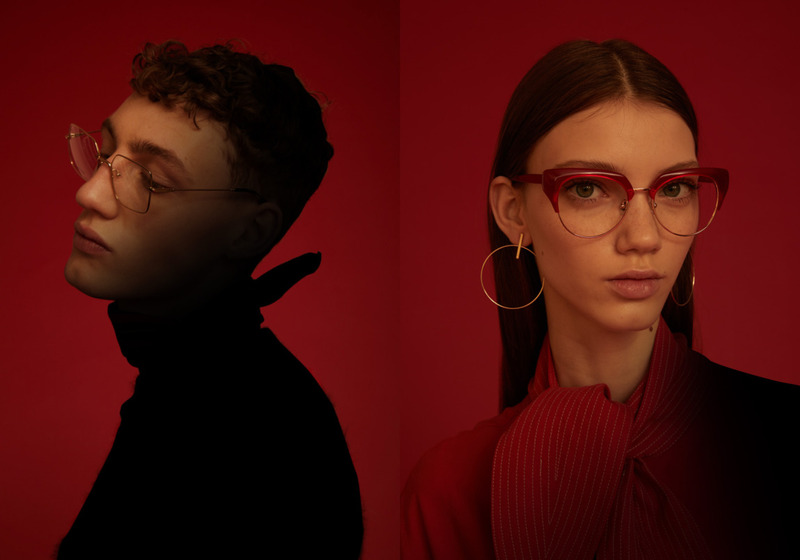 The casting of models and styling accentuate the character of each pair of glasses photographed for the lookbook created by Barcelona studio Eskenaziencursiva. The combination of two typographical fonts with different character gives rise to a graphic code that expresses the brand’s personality in any support, from the logo to the web. Basing ourselves on the premise of creating a digital frame in service to the created content, we have designed a website where the product can be seen in all possible ways, turning it into the principal character while establishing the brand’s domain. 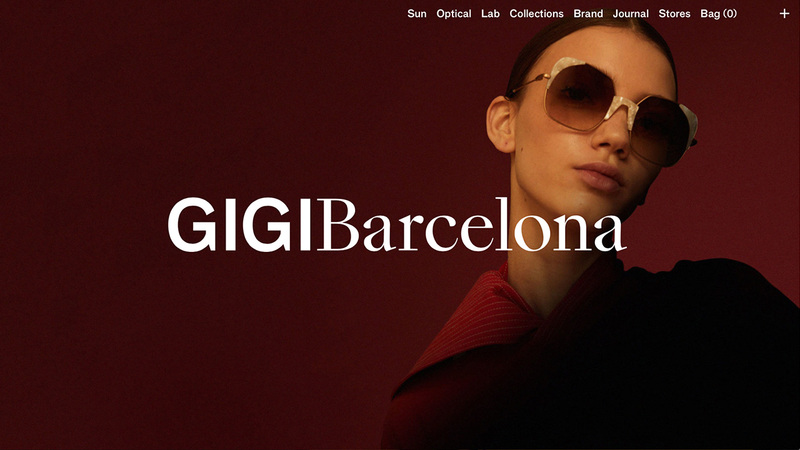 The use of full-screen photography and the application of the graphic code work together in creating the new Gigi Barcelona online identity.